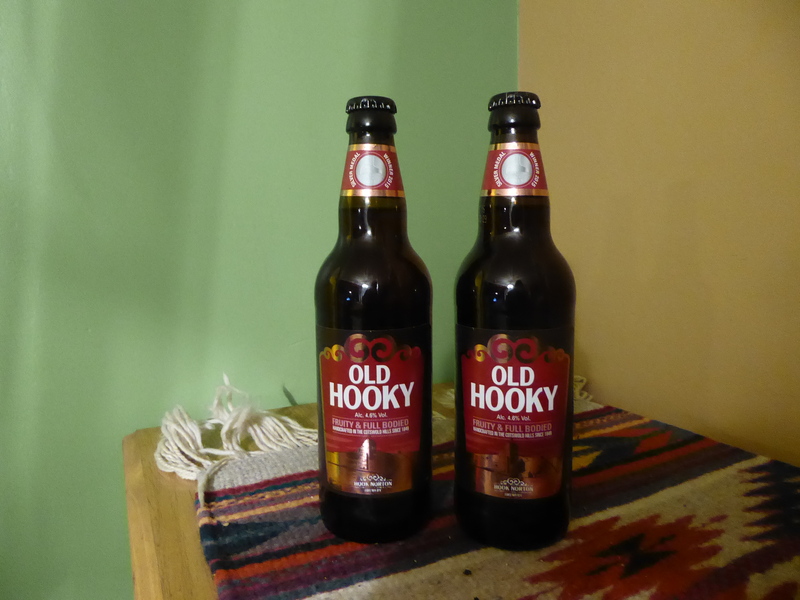 OLD HOOKY 4.6% from HOOK NORTON BREWERY, UK I had a couple’s of this beer last night which I picked up from Dan Murphy’s. I think this is a very ice beer and definitely a sessionable one. This beer fits into the style I like, always a fall back beer for me. I found it a relatively mild drink, a nice dark colour which did not pour with a large head, It was a full bodied beer, the hops did not overwhelm the beer and while not particularly bitter did have a bit of a bite. I didn’t pick up much of a nose but then it might have been a little too cold when I poured it. Brewery Notes; “First brewed to celebrate the Queen’s Silver Jubilee in 1977 it’s been so popular we’ve kept brewing it ever since. A beautifully balanced beer, fruity by nature, with a well-rounded body and the suggestive echo of Crystal Malt. 500ml bottle” My stone tankards, which I picked up at the breweries in Germany, suited this beer very nicely . 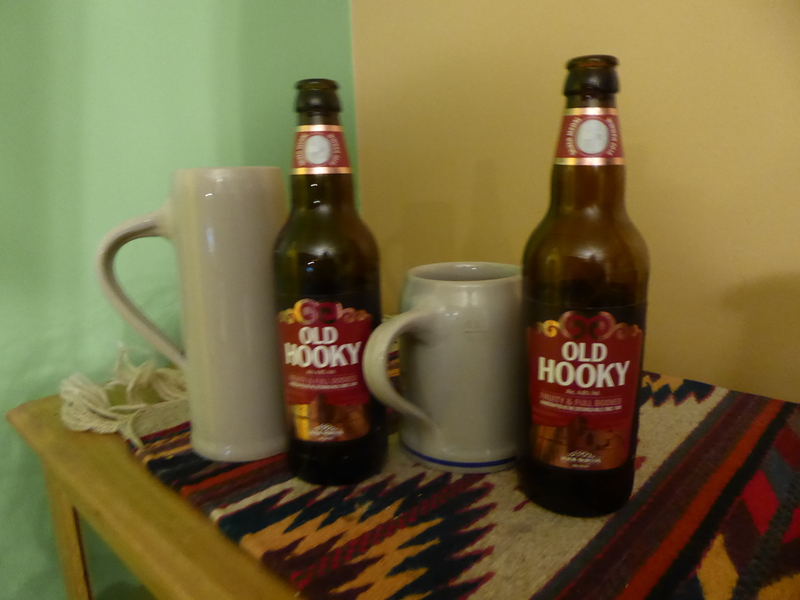 These two are my favorite beer drinking vessels, They hold a 500ml bottle but the trouble with them is you cant see how much beer is left which always turns out to be less than you hoped.